Growing up in Vancouver, my parents and I made regular trips to the Granville Island Public Market, the city’s mecca for colorful produce, artisan foods and crafts, and the freshest seafood. Duso’s Italian Foods, the booth that sold fresh pasta and sauces was a revelation for us. So THAT was how pasta was supposed to taste! Each time we walked away with an armful of tortellini, both cheese and meat filled, and containers of pesto and olives. Heaven! 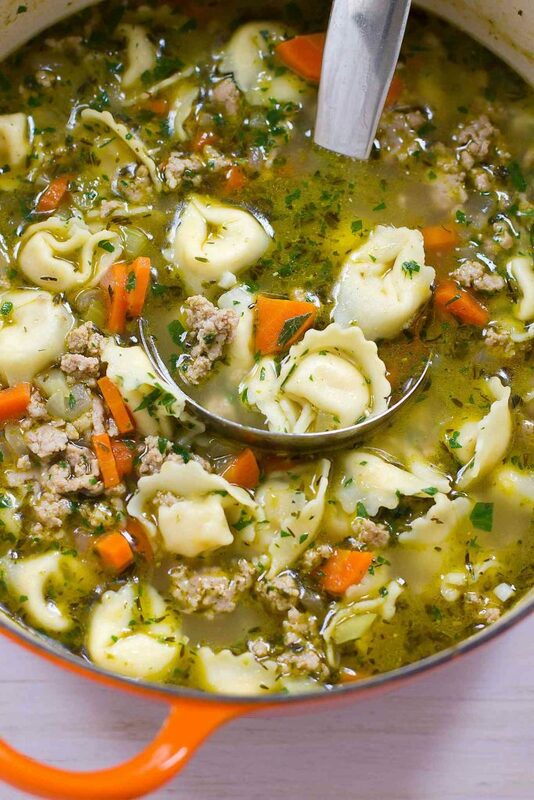 This pesto turkey tortellini soup recipe is an ode to those meals, and it quickly became a favorite of my older son, who is a sucker for anything involving tortellini and pesto. A chip off the ol’ block. This soup follows the same basic formula that I use for most of my broth-based or tomato based soup recipes. 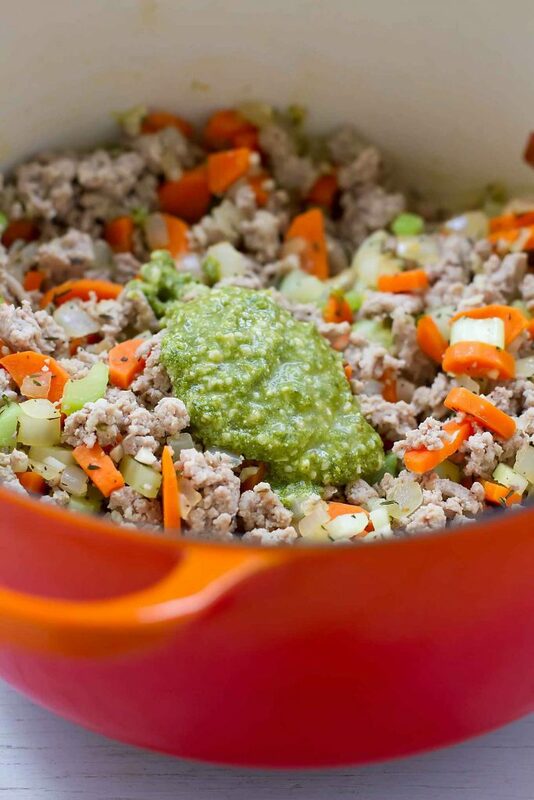 Start off by cooking the ground turkey before sautéing the vegetables – onion, carrot and celery in this case – in a little olive oil. Next, add in the garlic and herbs before stirring in the broth and pesto. Ten minutes of simmering is all that’s needed to intensify the flavors before stirring in the tortellini. 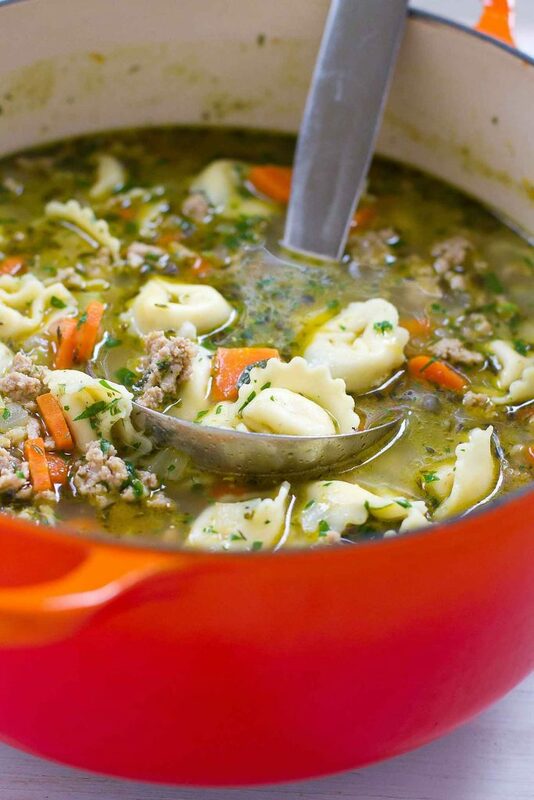 Fresh, frozen or dried tortellini will work in this recipe. Just be sure to adjust the cooking time. Fresh tortellini will take no more than five minutes, while frozen will take a few minutes longer. For the dried variety, follow the package directions. When using fresh tortellini, cook at a lively simmer rather than a full rolling boil so that the tortellini doesn’t start to break apart. 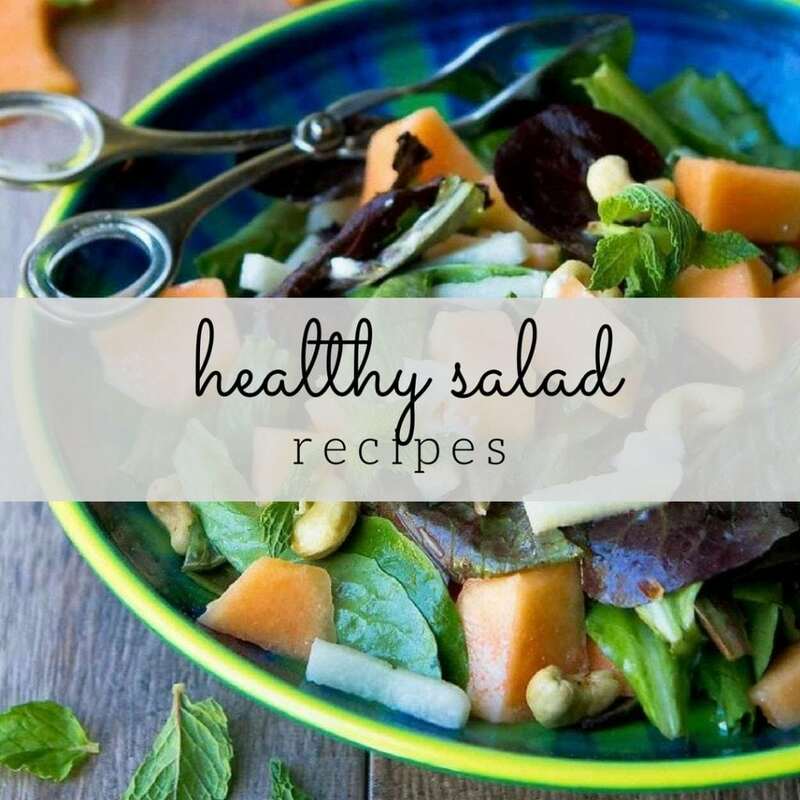 Serve it up the soup with a fresh salad for an extra dose of veggies. Heat a large nonstick saucepan or cast iron Dutch oven over medium-high heat. Lightly coat with cooking spray. Add the ground turkey and cook, breaking up with a wooden spoon, until cooked through. Drain and discard the liquid. Transfer the ground turkey to a bowl. Reduce the heat to medium and add the olive oil to the saucepan. Stir in the onion, carrot and celery. Cook until the vegetables are tender, about 5 minutes. Stir in the garlic, thyme and pepper, and cook for 1 minute. Add the pesto and chicken broth. Bring to a boil, reduce to a lively simmer and cook for 10 minutes. Stir in the ground turkey and tortellini, and cook until the tortellini is tender, 5 minutes for fresh and 8 minutes for frozen. Remove from the heat and stir in the parsley. Serve. I wonder though…..can anything match your “Hearty Chicken Stew with Butternut Squash and Quinoa? 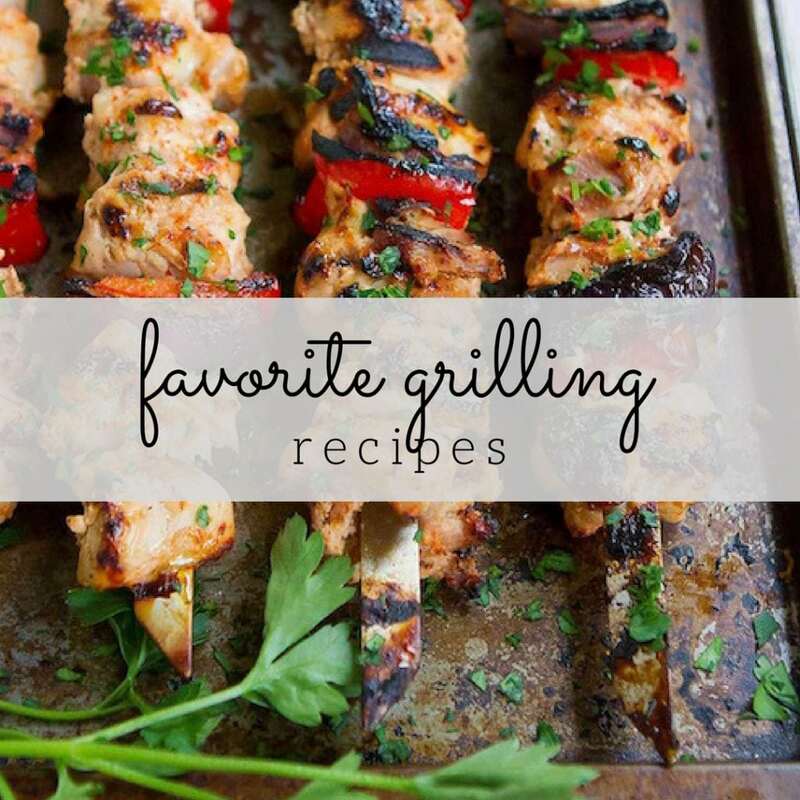 That’s one of my favorite recipes EVER!! 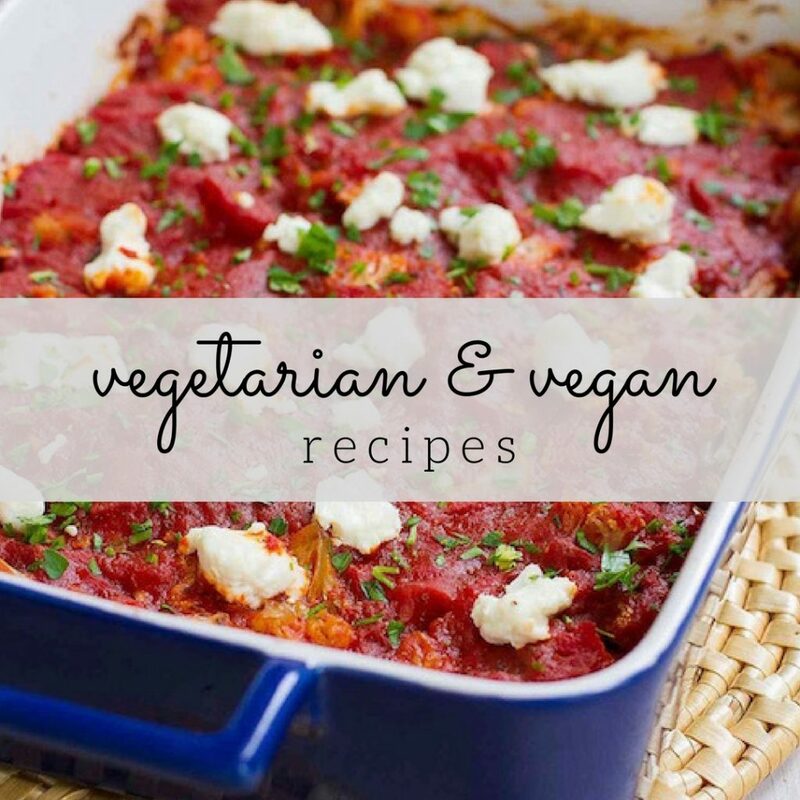 I love that this is only a 30 minute meal, saves a lot of time! That market sounds lovely and I’d love to visit Duso’s booth! This soup is what I’m craving for dinner tonight!!! Pesto and tortellini are two of my favorites!! I love pesto! 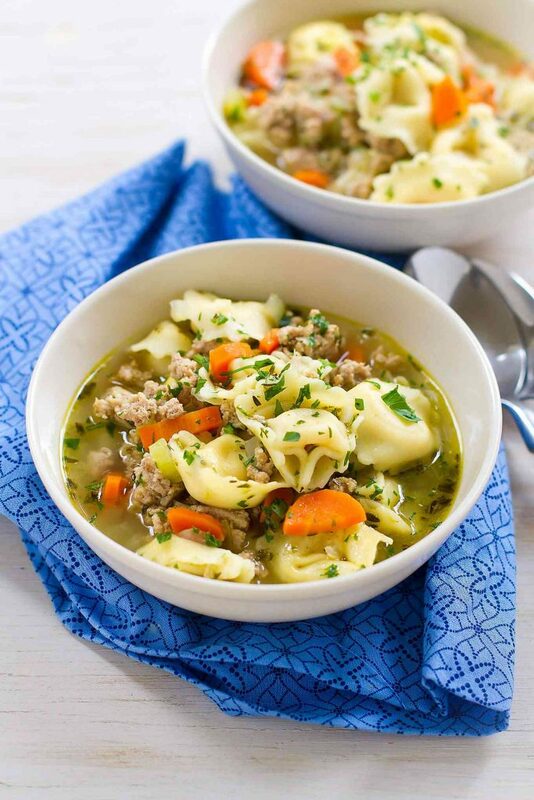 This soup looks like perfect comfort food! When do you add turkey? Sorry about that! Add it back in at the same time that you add the tortellini. This is so good! Our whole family loved it! I’m so glad to hear that, Bethann! I just made a double batch last week and we were able to stretch it for a couple of dinners and a lunch. Sorry about that! It is indeed 7 SmartPoints. Fixed now! Looks delicious! How much is a serving?? One cup? Hi Kalyn, the serving size is 1 1/3 cups. For future reference on my recipes, you can find the serving size in the top right corner of the nutritional information box on the recipe card. 🙂 I hope you enjoy the soup!